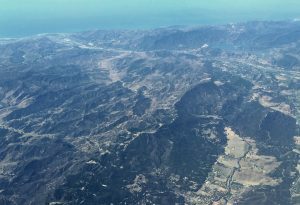 […] With both the destructive reality and the regenerative potential of wildfires in mind, this editorial was conceived early in the summer as we considered the implications of drawing an analogy between the recent “firestorms” of CanLit (as amorphously defined as that field has become in public discourse) and the wildfires. After a year in which the asymmetries of power and privilege operating within and upon the field have been newly illuminated by a number of high-profile flare-ups, we have seen many people drawing on fire metaphorically on social media, often with images of dumpster fires accompanied by #CanLit. Statements like David Gaertner’s succinct tweet in response to the distressing re-emergence of the Appropriation of Voice debates abounded: “If this is #CanLit, let it burn” (n. pag). It’s a provocative metaphor to think with, given the state of both our home province and our critical fields this summer, for its power to acknowledge the damage wrought within a combustible climate but also to spark ways of looking forward and affirming new futures. 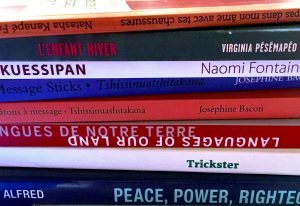 What does CanLit need to regenerate after critical destruction? What conversations might grow after the critical fuels have burned away the old and sometimes even decaying ideas? What might thrive in a newly cleared out ecosystem that promotes diversity and enhanced habitability for a range of critics, writers, and publishers? What kind of impact could shifting winds have on public discourse? What is the critical, literary equivalent of fireweed? Given the pervasively tinder-dry conditions in Canadian literary culture these days, what might catch fire next? […] Meanwhile, as some of CanLit simmers, or not, the articles in this issue engage complex notions of home—as a space of failed futurity, as a space of refuge, as a volatile space, as a space to run to, and as a space of witnessing. “Meanwhile” also signifies “so long as a period of intervening time lasts; for the interim” (OED). Thinking about CanLit as a kind of home for criticism, meanwhile, we ask what futures will emerge from the embers of the intervening present and the interim. Canadian Literature is pleased to welcome Phinder Dulai as our new poetry editor, with many thanks to Stephen Collis for his wonderful and dedicated service as poetry editor from 2014 to 2017. 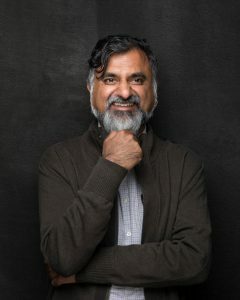 Phinder Dulai is the author of three poetry collections: dream / arteries (Talonbooks, 2014), Basmati Brown (Nightwood Editions, 2000), and Ragas from the Periphery (Arsenal Pulp Press, 1995). His work has also been published in Canadian Literature, Offerings, Cue Books Anthology, Ankur, Matrix, Memewar Magazine, Rungh, The Capilano Review, Canadian Ethnic Studies, Toronto South Asian Review, subTerrain and West Coast LINE. A consulting editor and member of the Talonbooks’ Poetry Board, Phinder Dulai is also a co-founder of the interdisciplinary contemporary arts group South of Fraser Inter-Arts Collective (SOFIA/c), and a past adjudicator for the Canada Council for the Arts. Recently, Phinder Dulai led the design and served as faculty lead for Centering Ourselves: Writing in a Racialized Canada. This residency was hosted at the Banff Centre for the Arts, Canada’s first dedicated literary incubator for Black, Indigenous, and People of Colour authors. We look forward to the creative directions Phinder Dulai will take Canadian Literature’s poetry section. We welcome him to our CanLit team! See Chinatown from a brand new perspective! This interactive collection of photospheres provides 360° views of the famous Vancouver neighbourhood. Through an immersive digital experience, the field trip highlights key settings in SKY Lee’s Disappearing Moon Café, featuring commentary about the novel and reflections on Chinatown by the author. 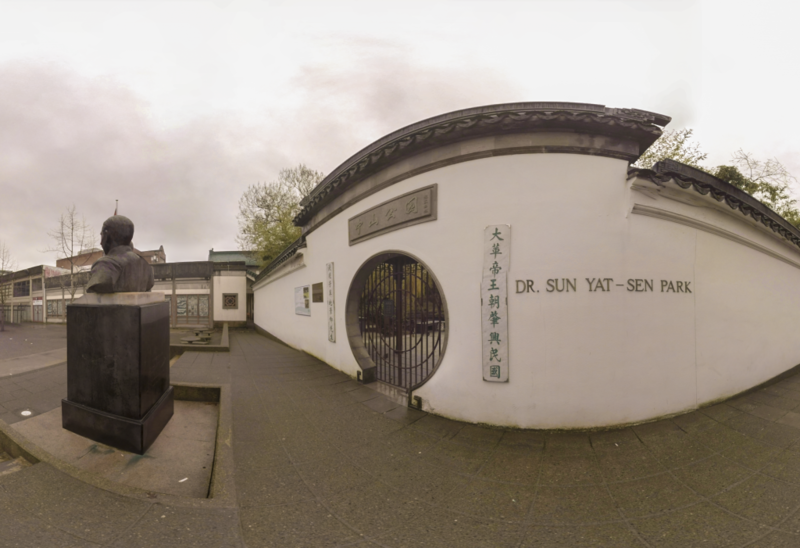 This virtual tour supplements Canadian Literature’s special issue Asian Canadian Critique Beyond the Nation, guest edited by Chris Lee and Christine Kim, and was motivated by NeWest Press’ second reprint of this seminal novel. An unflinchingly honest portrait of a Chinese Canadian family that pulses with life and moral tensions, this family saga takes the reader from the wilderness in nineteenth-century British Columbia to late twentieth-century Hong Kong, to Vancouver’s Chinatown. This project has been created with the generous support of UBC’s Asian Canadian and Asian Migration program, UBC Studios, and NeWest Press. Special thanks to Christy Fong, Christopher Aitken, Szu Shen, and Brooke Xiang for their work on this tour. Please note that older browsers and operating systems may have difficulties rendering the field trip. 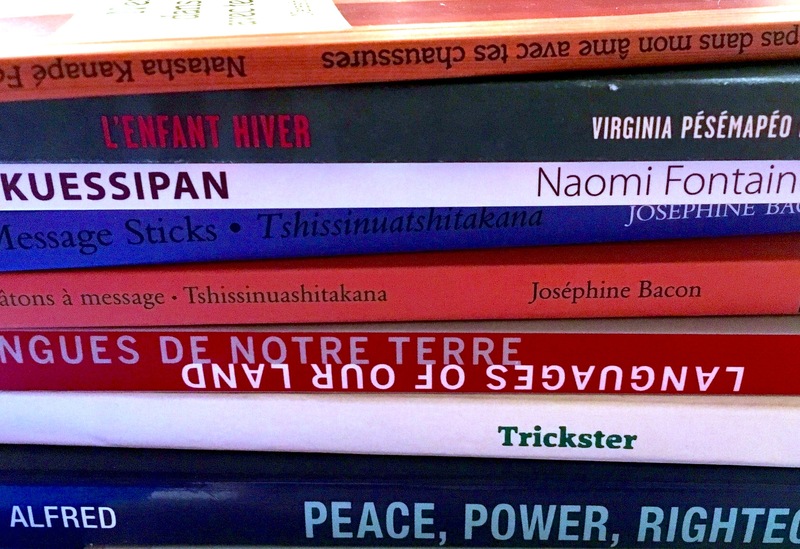 Special Promotion: Canadian Literature issues 230/231, 228/229, and 227—now with goodies! 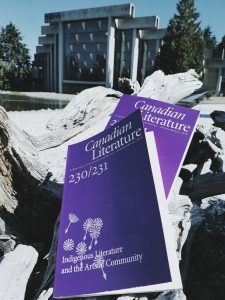 We are excited to announce a special promotion for Canadian Literature’s upcoming issue #230/231: the first thirty pre-orders for the issue will include a complimentary button to celebrate its publication! 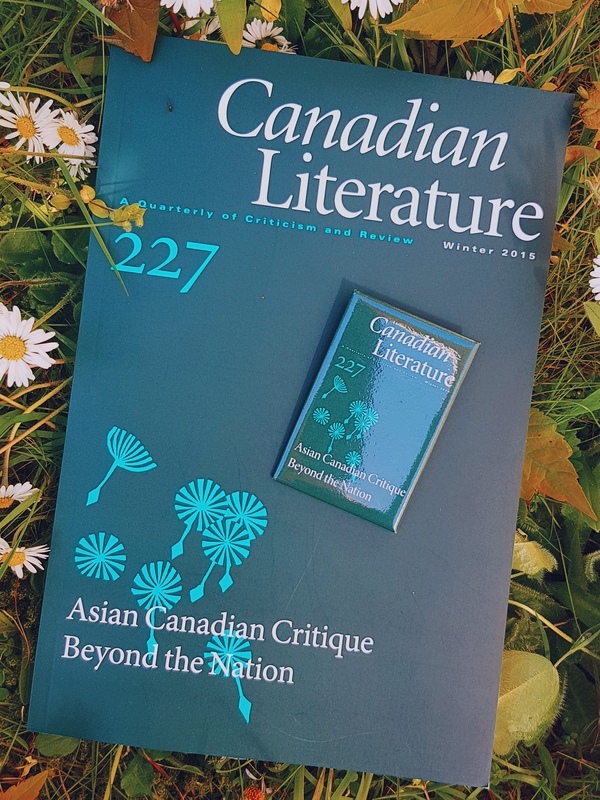 We will also be including complimentary buttons for the next thirty orders of issue 228/229, Emerging Scholars 2, and the next thirty orders of issue 227, Asian Canadian Critique Beyond the Nation. At 1.75’’ by 2.75’’, these “mini issues” are a perfect replica of each issue’s cover, and can be attached to backpacks, purses, shawls, and more. Issue 230/231, Indigenous Literatures and the Arts of Community, is guest edited by scholars Sam McKegney and Sarah Henzi. This double issue is slated to be published later this year. Extending Canadian Literature’s commitment to Asian Canadian studies, this special issue interrogates how national epistemes have become sedimented in the field itself, often in barely discernible ways. It is this self-reflexivity that we hope distinguishes Asian Canadian critique from the many cultural, activist, political, and institutional projects that have coalesced around this term. To take advantage of this special promotion, please click here to pre-order issue 230/231, or head to our online store to order issues 228/229 or 227. Remember, there are only 30 “mini issue” buttons available for each issue!